The Trump administration has announced plans to expand offshore oil drilling in the Atlantic, Pacific, Gulf of Mexico, and Arctic Ocean. 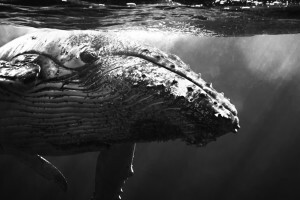 These plans include deafening seismic blasts that will injure or kill numerous marine animals. The federal administration recently authorized five companies to conduct seismic blasting, the first step to offshore oil drilling, in the South and Mid-Atlantic. 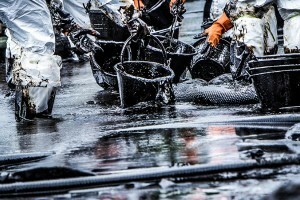 This drastic proposal puts our nation’s coastal economies, communities, beaches, surf breaks and marine ecosystems at risk of major oil spill diasters and ongoing offshore drilling impacts. Take action today against seismic blasting and offshore drilling by completing our action alerts and participating in BOEM's upcoming public comment period. The Draft Offshore Oil & Gas Leasing Program for 2019 - 2024 would open thousands of miles of U.S. coastline to oil drilling, including regions such as the Atlantic and Pacific that have been protected for decades from this dangerous practice. The Bureau of Ocean Energy Management (BOEM) will soon open another comment period for citizens to provide feedback on the proposal. The agency will also hold public hearings in affected communities in the coming months. In 2016, Surfrider Foundation and our partners successfully stopped the federal government's plans for offshore oil drilling and related seismic blasting off the Atlantic coast (read more). However, the Trump administration is now planning to expand offshore drilling, putting the Atlantic, Pacific, Gulf of Mexico, and Arctic at risk of new oil rigs. New offshore drilling would damage the marine ecosystem and put coastal communities at risk from oil spills. That's why Surfrider is doubling down on our efforts to ensure that new oil rigs will not be approved in U.S. waters. Now, more than ever our coasts are under threat and need your help! Join us in asking our federal leaders to protect U.S. coastlines from new offshore drilling. 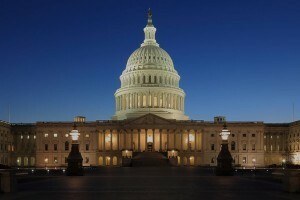 Sign the action alert to urge your federal reps to oppose offshore drilling. Participate in Hands Across the Sand on May 18th at a beach near you. 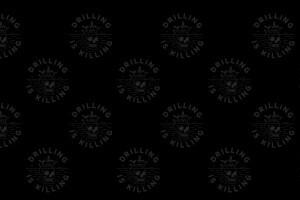 Donate to Surfrider to support our Stop Offshore Drilling campaign. We've collaborated with surf, streetwear, and tattoo artist Stephen Carballo — also known as The Los Angeles River — to produce this limited edition set of apparel and accessories. 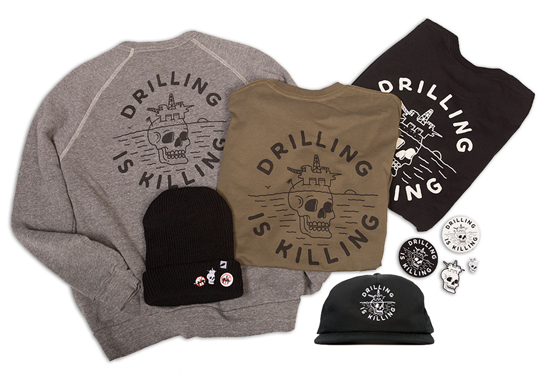 All proceeds from these products will support our efforts to fight new offshore drilling. 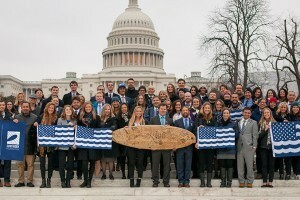 Surfrider’s Federal Priorities: Washington D.C. Here We Come! Visit our Beachapedia website for more information about offshore drilling and seismic testing. 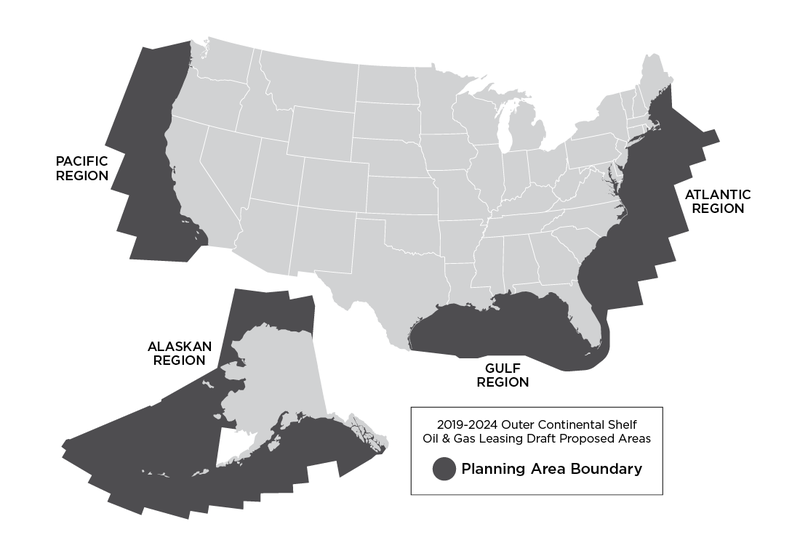 The Draft Offshore Oil & Gas Leasing Program for 2019 - 2024 would open thousands of miles of U.S. coastline to oil drilling, including regions such as the Atlantic and Pacific that have been protected for decades from this dangerous practice. The Bureau of Ocean Energy Management (BOEM) will soon open another public comment period and hold a series of public meetings for citizens to provide feedback. 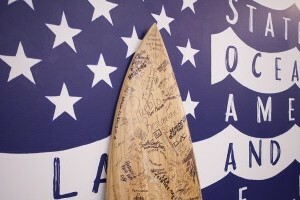 Surfrider Foundation is determined to prevent this plan from being finalized, but we need your help. It’s time to make your voice heard. Please join us by submitting comments to BOEM and contacting your federal representatives. We also urge those in affected communities to attend upcoming public hearing to provide testimony against new offshore drilling in our oceans.